A team of international evangelists will be taking the Good News of Jesus Christ to the streets of Scotland this month. One of the team leaders of the trip is Chris Sippley of Canada, who also participated in a tour with Rose last year. He says that the Christian roots of Scotland make the upcoming missions effort even more important. “This next trip is especially close to my heart because studying the rich history of Scotland I almost feel indebted to them to bring back the Gospel that they brought over to us,” he said. Indeed, icons of the Christian faith such as George Whitfield and John Wesley had preached in Scotland many times before their missionary trips to the American Colonies that were a part of the Great Awakening. Famous Scottish Preachers such as Robert Murray M’Cheyne, Horatio Bonar and John Knox are widely studied in America today. 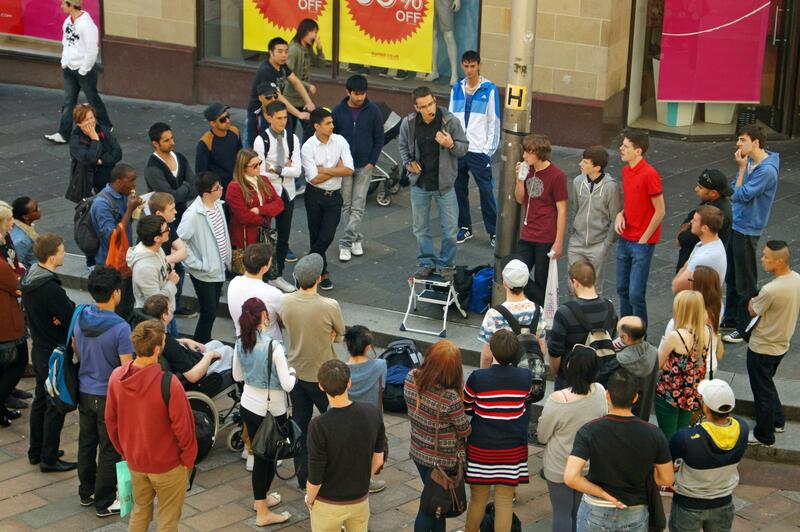 “Thunder Over Scotland” team leader Chris Sippley preaches to a gathering outside the Glasgow Royal Concert Hall. Sippley is currently in Scotland preparing the way for the others to arrive. Over two dozen Christians from several different nations will be joining Rose and Sippley on the tour, including Frank Rollberg of Alabama. Rollberg says that he has been preaching in the open air and witnessing for several years. 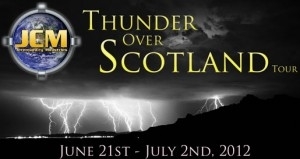 “Thunder Over Scotland” begins June 21st and concludes July 2nd. It marks the third year that JeremiahCry Ministries has sponsored a mission trip to the United Kingdom.